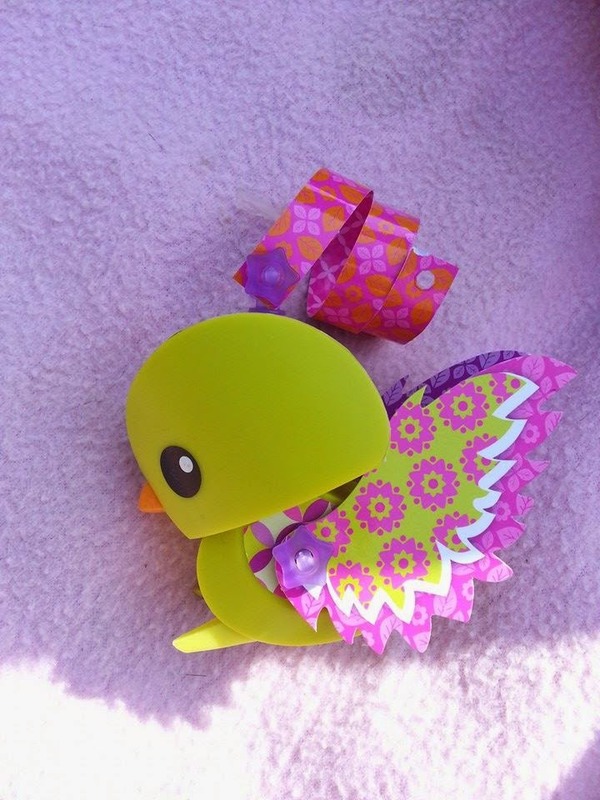 Mum of Five Staying Sane: Our review of the fab Mattel Amigami craft and creativity kits. Including the Panda, Dog and Bird kits. Release you creativity to make your own designs. Fab and fun arts and crafts with endless design opportunities. 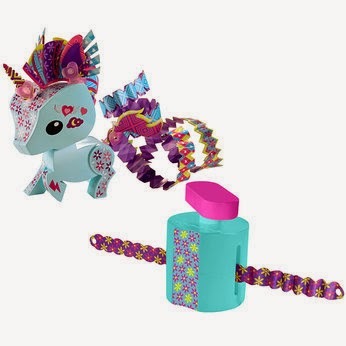 Our review of the fab Mattel Amigami craft and creativity kits. Including the Panda, Dog and Bird kits. Release you creativity to make your own designs. Fab and fun arts and crafts with endless design opportunities. 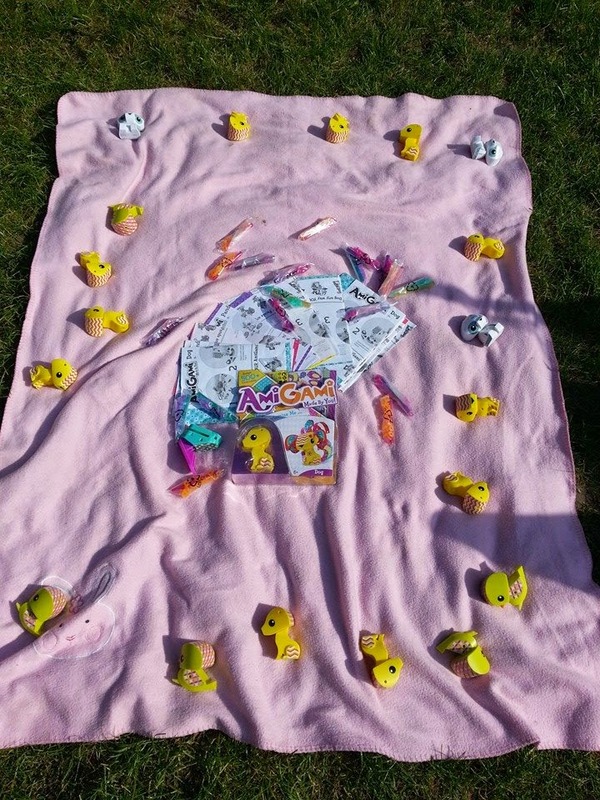 We were recently sent a lovely selection of Amigami toys to review with a little help from our friends! We had lovely invites to send out asking our friends to come and help us try out the Amigami kits and put them to the test! Amigami are fab little kits. 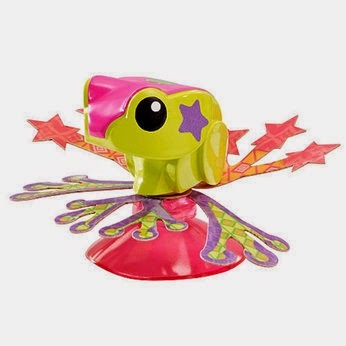 The animals are solid plastic bodies and each one comes with it's own selection of crafty add ons including colourful shapes, wings and eyes to twist, stick, clip on and style. We were sent the Dog, Panda and Bird kits which came with full instructions for each animal, a full set of colourful shapes, paper stripes to curl and stickers. Each child can then style their animal in their own unique way meaning that no animal will ever look the same once your child has released their creativity. 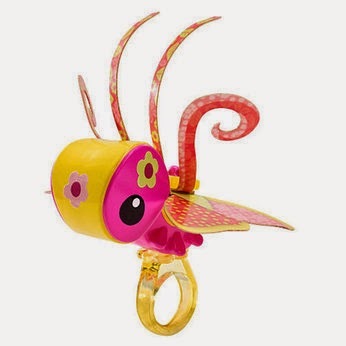 There are other animals in the Amigami range too which are available from many toy stores. We had a lovely creative session out in the garden. I set out a blanket with all of the kits on and instructions and just let the children help themselves. 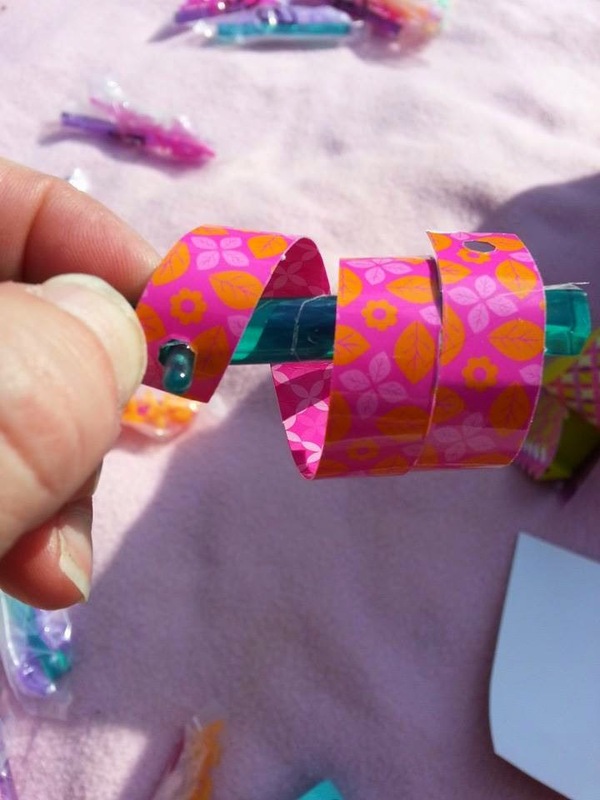 It was fab as there is no need for glue or scissors etc.... so you can really just let them get on with what they are doing and there is no mess or cutting involved in order to create. Curling the colourful strips to make springy shapes to attach to the animals was so quick and easy. Each animal came with a curling bar where you attach one end of your strip of card to the small point on the bar and just twist around. You can the use it to make crazy hair on your animal or a curly tail. Curling the colourful card strips around the handy and easy to use curling bar. All coloured card is pre cut and easy to separate and use. All of the colourful shapes came on one sheet of card and were easy to just push out of the card and were instantly ready to use. They had holes already punched into them and they attached to the main animal body using small plastic shaped clips. These was so easy to do and also meant that if they changed their mind on something it was easy to remove and change. We were also sent the star puncher tool which allows you to make star shapes in the colourful card, adding even more detail to your designs. There is endless possibilities with these kits and quite a few different animals to choose from. We love cracft in this house but sometimes it nice not to have to get the scissors, glue and paint out in order to have fun. These were an instant hit and I could really just sit back and watch them create without having to help out with cutting out shapes or punching holes in things. It meant they could really get creative without having to keep asking for help and at the end they had something they had made and put their own unique design into as well. I would highly recommend these for crafty days, party favours, presents for friends etc.... They are excellent, fun, colourful and creative. The children had a fab time. We had lots of unique creations made and they didn't all look the same which was good. You don't have to follow a strict set of instructions in order to make it and then it ends up looking exactly the same as your friends one that she made! 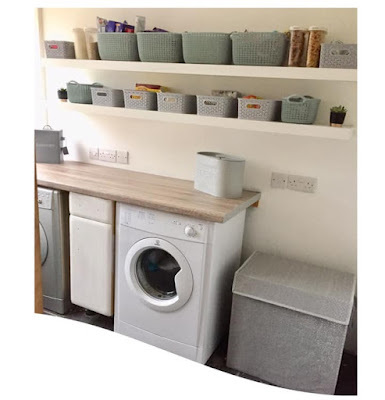 Lots of positive comments from the children including the fact that they can go home and restyle over and over again which is great. There are endless possibilities to make and create. This bird was made by my almost 3 year old. The recommended age is from 6+ years but with my supervision I just wanted to show what he could do and how easy it is. He could have added a lot more. Four more of the many other designs available from Amigami. Each comes with over 70 reusable stickers. 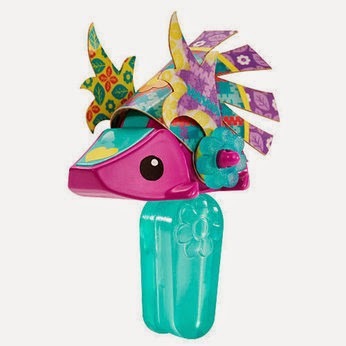 30 different colourful paper parts and 6 shaped plastic pins to attach the paper parts for endless creative fun.